LB-117 Biological Monocular Microscope with Wide Field, Quadruple Nosepiece and Plan Achromatic Objectives is an ergonomic and economical Monocular microscope with Plan Achromatic objectives, Quadruple nosepiece and LED illumination system. More comfortable and reliable operation with modern design. Affordable price with reliable performance, long working life. 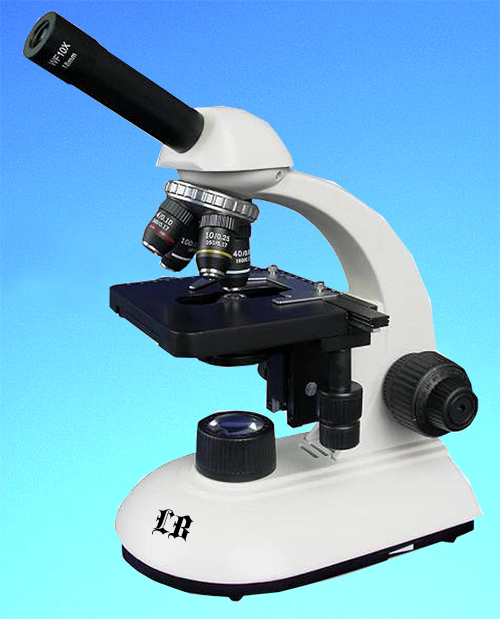 These microscopes are economical microscope with all the basic features for educational use in elementary and high school.